Jane Sharples - I fell in love with the look and style and knew it was a must in my contemporary styled home. The curved lines and bold statement pose a striking look. It’s a real talking piece when we have family and friends round and it’s been fantastic on those cold, wet days and nights. 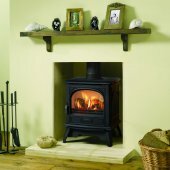 I high recommend this stove, quality is excellent and the service Tammy and Richard provided at abell.co.uk was fantastic. The Dovre 280 traditional gas stove is an all new model that blends Dovres pedigree in casting with the latest gas flame technology. 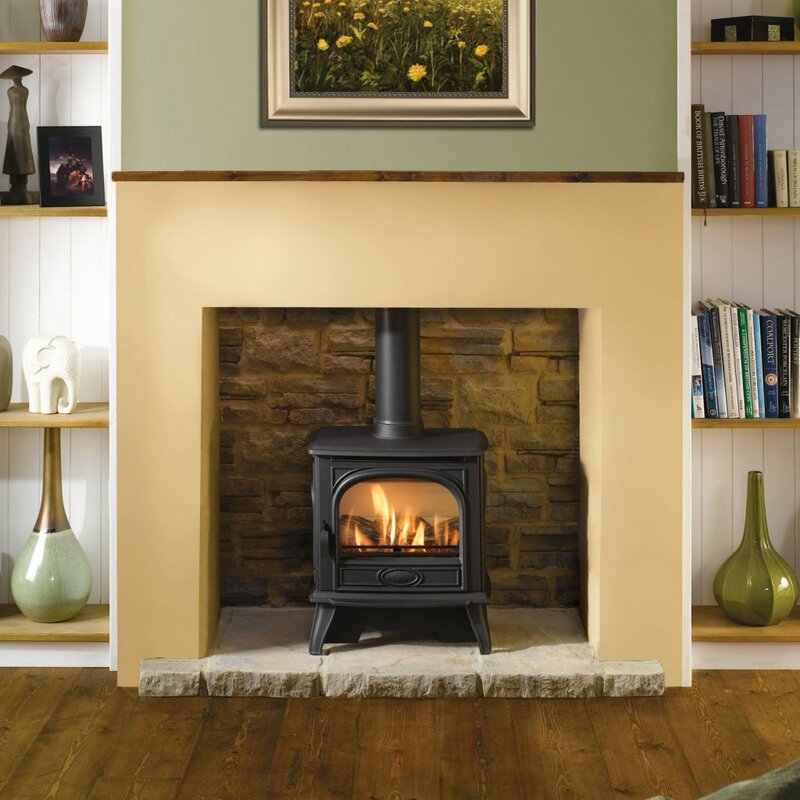 This traditional gas stove not only looks highly realistic but also provides you with effective and controllable warmth. The distinctive Dovre 280 gas stove model is available in both balanced flue (available here) and conventional flue versions. This gas stove has a choice of remote controls to allow you to adjust the flame effect and heat output. Matt black finish. 3.4kW nominal output - ideal choice for grander rooms. High efficiency: up to 81%. Large glass window for a relaxing view of the flames. Ignition system requires no electricity supply. Automatic safety shutdown in the event of pilot light failure or flue blockage. Cast iron construction. Conventional Flue - 125mm 5 year warranty. Standard Remote The Standard remote control allows you to ignite your fire, choose between different flame settings and heat outputs, from the comfort of your sofa. Programmable remote The Programmable Thermostatic remote control allows remote operation of everything from ignition to extinguish as well as incorporating the benefits of a programmable timer and thermostat. It is important to understand that installation of any gas appliance needs to be done by a registered gas safe engineer. You can find a gas safe engineer near you by visiting the UK gas safe registry. Find an engineeer now. 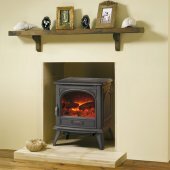 It is essential to choose a gas stove with the correct flue outlet to suit your chimney. An adequate air supply is also required for the appliance to operate safely and efficiently. 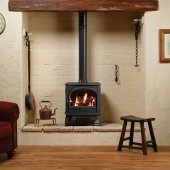 To check which gas stove will suit your chimney please feel free to contact Bell at onlinesales@abell.co.uk or 01604777504. Jane Sharples I fell in love with the look and style and knew it was a must in my contemporary styled home. The curved lines and bold statement pose a striking look. It’s a real talking piece when we have family and friends round and it’s been fantastic on those cold, wet days and nights. I high recommend this stove, quality is excellent and the service Tammy and Richard provided at abell.co.uk was fantastic. Henry J Very helpful team and a great pleasure to purchase from them. Efficient delivery service and stove looks great. Alexander Yates Love the retro look from the Vintage 30. Bell offered a cracking deal and their service did not disappoint either. A satisfied customer.